Chicago Bulls in 2015 – What Comes Next? Despite home court advantage, the Chicago Bulls are out of the playoffs after the first round for the second time in three years. Tom Thibodeau is a very good head coach, and he has a team with some excellent defense. 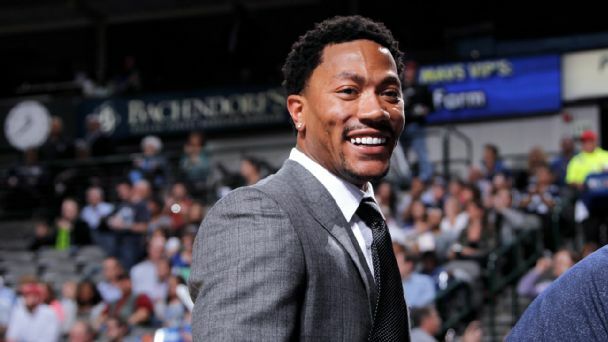 However, the future doesn’t look too bright without Derrick Rose finally getting some consistent playing time, while the biggest and first decision this teams needs to make has to do with Carlos Boozer and the amnesty clause. This playoff series in which the Bulls lost to the Wizards in five games should be the final straw. Boozer is a good player, but not worth the money he is being paid, and for a team that relies on certain fundumentals on both ends of the floor, his ability and effort is simply not up to par with the rest of his teammates. He was playing only 24.2 minutes a night, averaging 9.6 points per game. You don’t pay that kind of production $16.8 million a season. 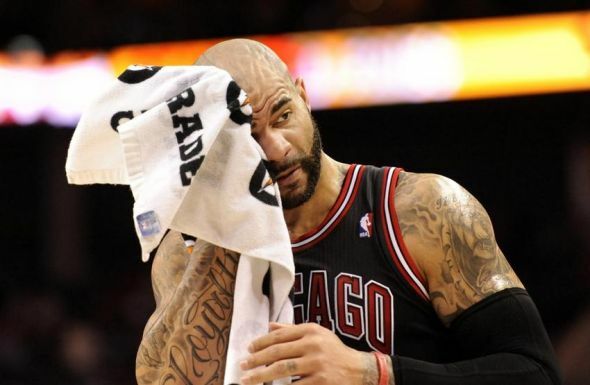 So the Bulls might have missed the train on really pulling off a smart move with Boozer by amnestying him years ago. He has been the top candidate since the clause was inserted into the 2011 CBA, but for some reason that most don’t understand, it was never used on him. Taj Gibson now brings more to the floor on both ends of the court. The reasons for keeping Boozer on the payroll are few if any at all, except for the owner not wanting to pay for a player that isn’t actually giving him. It’s not that far from reality. But there’s more than just Boozer to discuss and consider. The Bulls will try to trade him, but the final decision is probably going to end up putting him on a different team when it’s all said and done. That still puts them at $50 million for next season, about $10 million, maybe more, under the salary cap. Derrick Rose, Joakim Noah, Taj Gibson, Mike Dunleavy, Jimmy Butler, Tony Snell. Those are the guys that right now have deals for next season, and we know are going to give something to the team. There’s the Kirk Hinrich and D.J. Augustin decision to be made. The Bulls, more than any other team, need a good backup point guard. Maybe even more than a backup, and bringing in Augustin possibly saved their season in terms of playoffs or not. Getting a shooting guard to give Butler some moments on the bench is important. Hinrich can fill the role if he’s re-signed (he has said he wants to stay, obviously), but there might be better options out there in terms of more consistent offense. There’s the Carmelo Anthony question which will probably grab a lot of headlines. The Bulls have the ability to clear space in order to sign him, but that means trying to insert a player who is about everything that Bulls aren’t. Everyone agrees Rose needs another scorer next to him if Rose is in any capacity to lead this team anymore. Anthony is more than enough in terms of scoring, but how about defense, sharing the ball and being part of a team, not a star trying to lead one? If Boozer is released another big man coming off the bench is needed. This draft class brings plenty of interesting options for the Bulls, who have two first round picks (16th and 19th) thanks to the Tyrus Thomas trade with the Bobcats. They could find both a decent big man for the bench and someone to give them another outside shooting option, which is sorely needed, here:Doug McDermott could fall that far, and Adrian Payne is another good option in that mid first round zone. 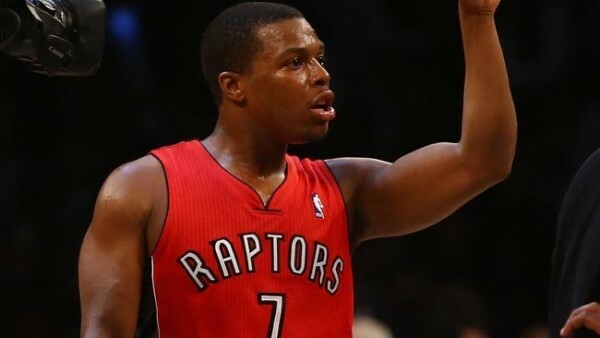 There’s been the suggestion of going after Kyle Lowry who becomes a free agent. This gives the Bulls the opportunity to play with a lineup that might potentially include Lowry and Rose in the backcourt, moving Butler to the small forward position and forming a Gibson – Noah frontcourt. There’s also the Mirotic arrival which might give the Bulls a big man who stretches the floor, finally. A team that still has a window of opportunity to win an NBA championship, but plenty of questions about current and future players, and too many of those what ifs have to do with the knee issues of the 2011 MVP, who has played about half a season worth of games in the three seasons since his crowning moment, that made everyone backing the Chicago Bulls so optimistic about the present and the future.